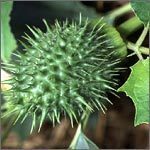 Dhatura – thorn apple is a poisonous herb used in many Ayurvedic medicines after purification method. We have been counted amongst the most trusted names in this domain, engaged in offering standard quality range of Datura Metel. 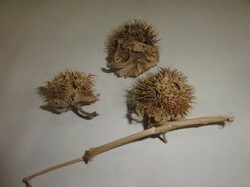 We are one of the leading manufacturer of Dried of Fresh Datura Stramonium. It used in Ayurvedic medicine. Common Name: Devil's Apple & Devil's Trumpet. Parts Used: Leaves & seeds.